M.D. Harmon worked for the Portland newspapers for 41 years before retiring in 2011. 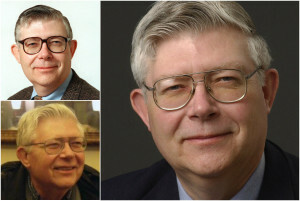 Harmon, shown at top left in 1999, continued to write an opinion page column for Portland Press Herald until the time of his death Wednesday in a shooting incident at his home. Bottom left is Harmon's LinkedIn photo. The photo at right was taken in 2004.